Getting to see country music star Luke Bryan shirtless will cost you a pretty penny according to tour-mate Jon Pardi! Watch the video here. As the country superstar changes backstage while a camera captures the footage, Pardi jumps in to block the view. “Hey. Hey. What — you actually think this is free? That’s actually an extra hundred dollars…” the “Dirt on My Boots” singer jokes. While one hundred bucks seems like a steep price— seeing Jon without a shirt comes at a higher price. “For me? That’s a thousand,” Pardi adds. Watch the entertaining video clip! Y’all always love some bloopers. Here ya go. 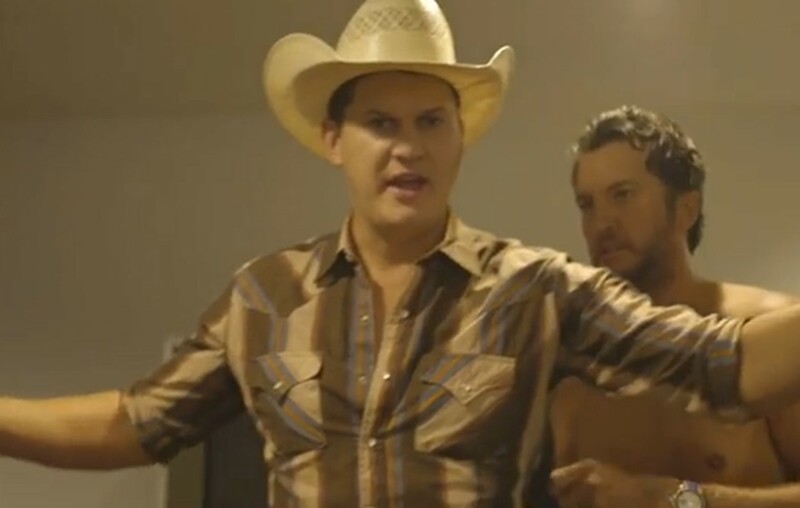 Musician, bodyguard, entrepreneur— Jon Pardi is working all angles while out on the road! Watch the rest of the tour’s blooper reel below! Share this humorous moment with other country music fans!